We visited the beach resort town of Rimini in mid September, just after the peak season had finished. With the best of the beautiful summer weather gone, the waterfront areas of the town resembled a ghost town. There were more street vendors than tourists and many of the cafes had closed their doors for the year. 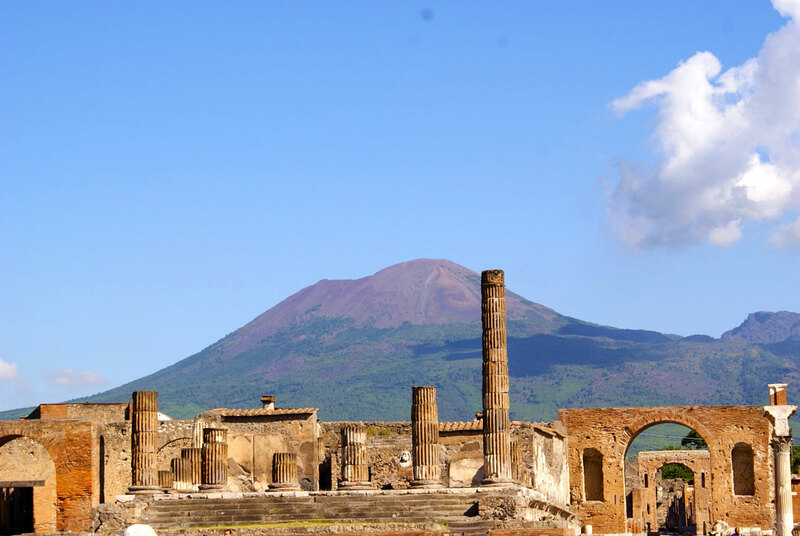 But the sudden departure of the swathes of tourists doesn’t mean the end of the good weather. 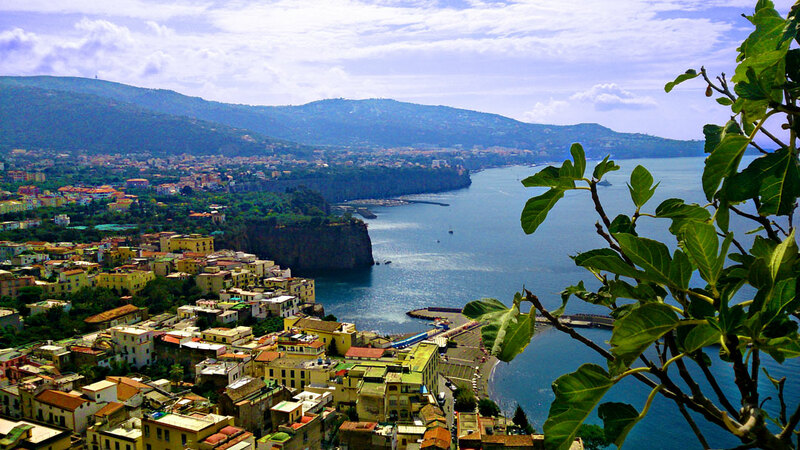 We experienced a mix during our time here, from sunny mornings to afternoon thunderstorms. So if you do visit outside of the summer months, anticipate losing some time to poor weather. So perhaps book a hotel with good facilities – we found the Hotel Sunset on the waterfront to be excellent value out of season, from 25€ per night including buffet breakfast – how can you go wrong!? But aside from Hotel Sunset, there were an abundance of hotels with great facilities for bargain prices. Despite the sometimes inclement weather, the water was still quite warm at all times during our visit. So swimming isn’t entirely out the question! The waterfront is dominated by private beaches, meaning that, in season, you will have to pay to use the facilities. However, most hotels have a private beach or at least an agreement with one for their guests. Visiting out of season has no such issues, even during our visit, all the sun chairs were empty! Dining along the waterfront can be tricky, there is a huge amount to choose from during the peak season and prices are competitive. Outside of the summer months a lot of the eateries are closed which makes choosing a destination much easier. For those who are interested, we found that Poker Pizzeria offered great food at bargain prices. The staff spoke great English & were excellent company, making the experience all the more memorable. We normally try different eateries to get a taste of what’s on offer but we found ourselves returning here for most meals! 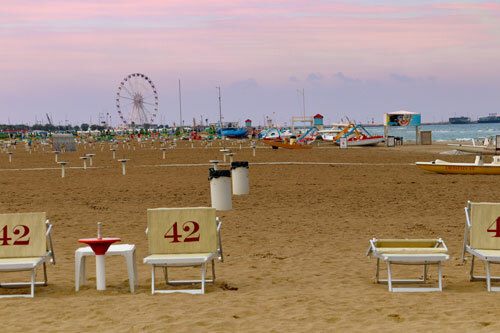 Outside of the expansive beach & waterfront areas, Rimini does offer visitors something other than surf and sand. About 1km inland from the beach is the historic town centre. Rimini has been populated for over 2,000 years and still features remnants from the Roman Empire scattered throughout. If you are in town, it is well worth looking around and exploring. The town centre offers better shopping and dining experiences than you will find along the waterfront. 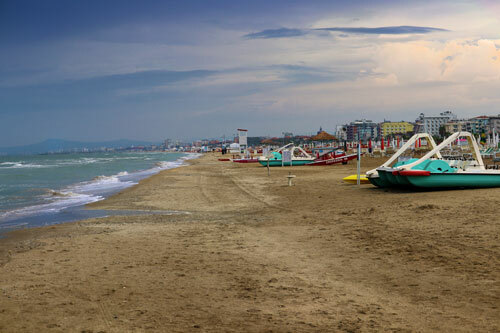 Ultimately, Rimini is primarily a beach resort, so it is best to visit during the peak summer season. Whilst there is a great deal of history associated with the town, it isn’t well preserved – we found the town centre to be quite dull and uninspiring. 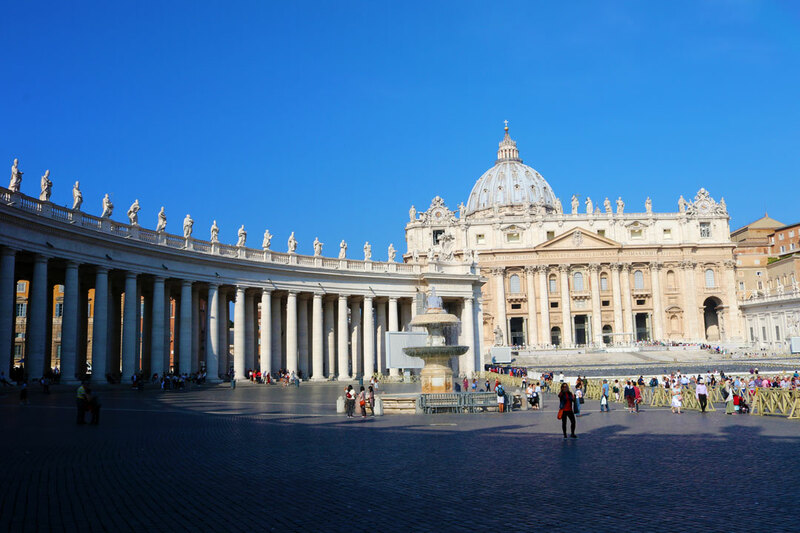 Prices are much inflated during the peak season, especially during the school holidays, so if possible try to schedule around the Italian & German school breaks. 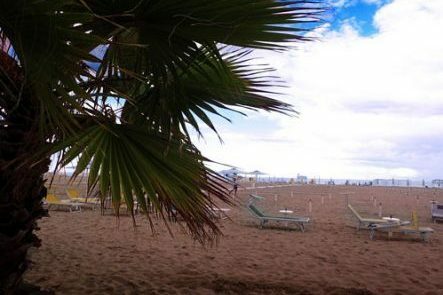 Rimini is also an excellent base for visiting other cities nearby. Which is why visiting early to mid September isn’t a bad idea. 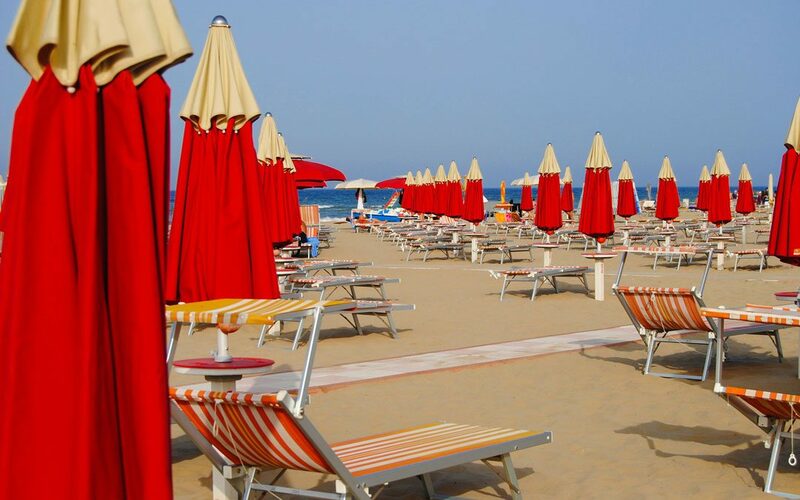 You will still get warm summer days to enjoy the vacated beach and on those wet/cloudy days you can make a break and head to nearby Bologna, Ravenna or Ferrara, all of which offer a different Italian experience to Rimini. Alternatively, you can visit the Republic of San Marino. Buses run regularly between Rimini & San Marino and it takes about 45 minutes each way. Although it is younger than Rimini, San Marino offers a much richer history experience for those seeking a break from the beach.